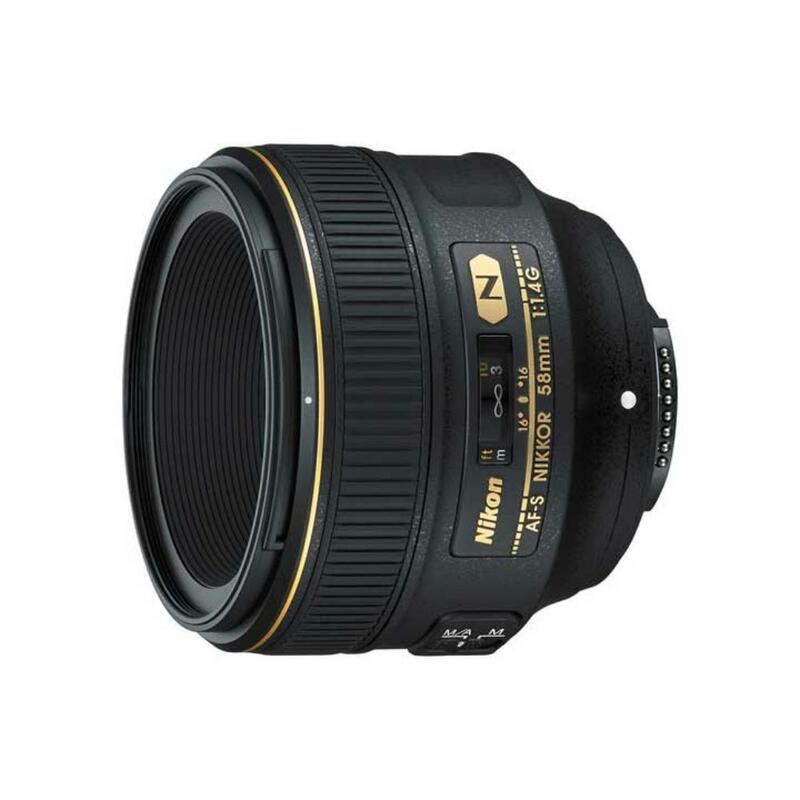 The Nikon 58mm f/1.4G AF-S Lens is a fast prime that maintains edge-to-edge sharpness with little-to-no flaring, ghosting, or light falloff at all apertures. The Silent Wave Motor allows for quiet AF and is easy to switch into manual focus mode. It is a great standard portrait lens on full frame cameras and a great telephoto portrait lens on crop frame cameras. This lens is ideal for use in low light and for portrait work.